A fluid, powerful stride starts with comfort and confidence. 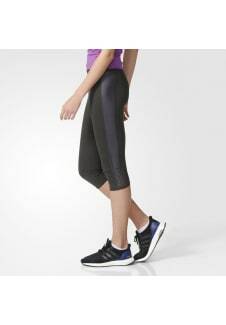 These women's running tights bring a comfy feel to your run with soft, high-performance fabric and a flattering cut. 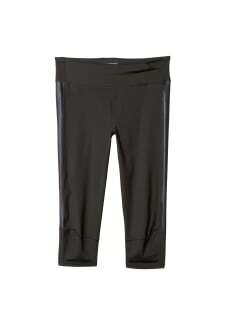 Made of moisture-wicking fabric, the three-quarter-length tights keep you dry and comfortable as you work up a sweat. A high waist with an adjustable drawcord provides a flattering silhouette and secure fit. The leggings have a sweat-guard pocket that keeps small essentials dry and close. climalite® fabric sweeps sweat away from your skin Sweat-guard pocket helps keep items dry Drawcord on elastic waist Reflective details Delicate machine wash only at no more than 30°,don't tumble dry and don't iron!